Sign at base of Dr Norlin's painting. 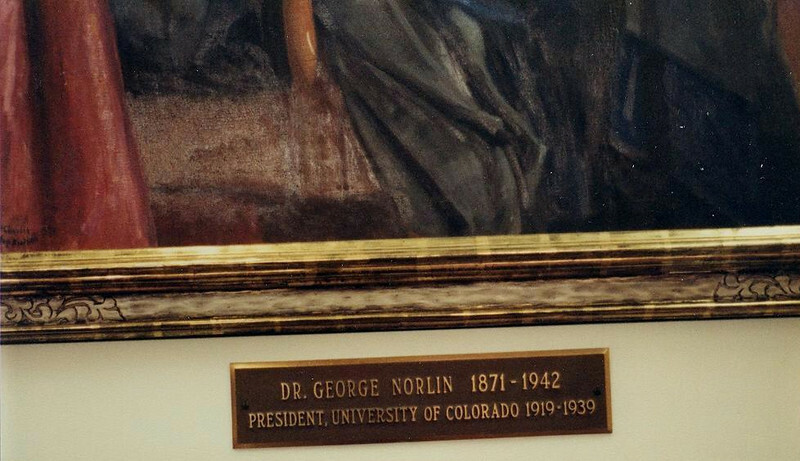 "Dr George Norlin 1871-1942, President of University of Colorado 1919-1939. Located in the Norlin Library at Boulder, Colorado. George was Jennie's brother. They had a brother, Joe Norlin who was a lawyer in Denver, Colorado.